Bamboozling the key holder at the Toolleen Football Club was a sure sign Catherine Dreis was on the right career path. It was her sister Lil’s 21st birthday party and the marketing and event management student had taken the reins. She had a spread sheet, a schedule and a barrage of questions for the footy clubroom caretaker. To answer her he simply said ‘I don’t know, I just give you the keys’. It’s just as well, because Catherine is currently in the thick of one of the city’s most multi-faceted events. The much-loved Bendigo Easter Festival. 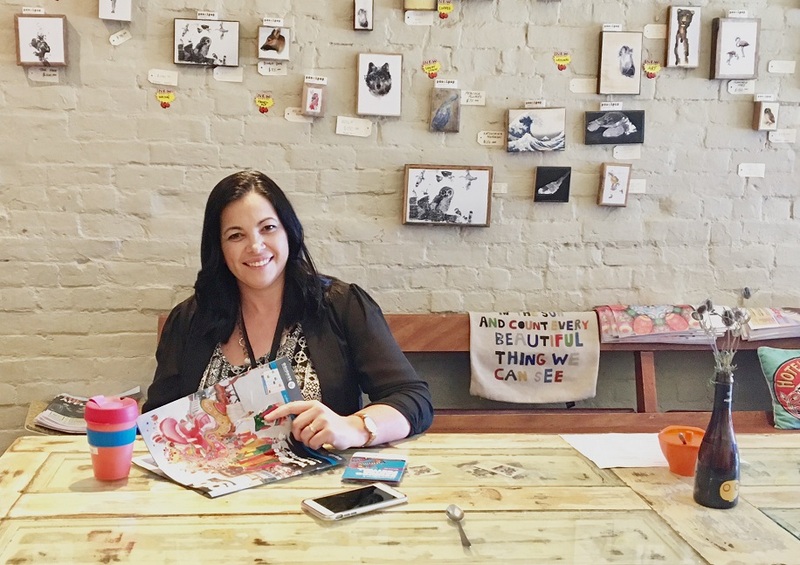 We drag her across the road from the City of Greater Bendigo Major Events office to the old Green Bean Café for a morning cuppa and chat about setting and meeting her career goals, perfectly to plan. Catherine landed a job on the major events team six weeks before completing her Bachelor of Business (Event Management/Marketing) last year. Three years earlier this was the exact job in her sights. In 2011, Catherine moved back to her home city of Bendigo with her young family, having spent several years by the beach in Brisbane, where she worked in administration and office management. In her first year of study Catherine volunteered with the City of Greater Bendigo for the Easter Festival. The following year she helped coordinate the Easter entertainment in the park for her work placement subject, and was last year invited back to do the same job as a paid casual. Catherine’s job started with coordinating Bendigo’s Christmas festivities, including the lighting of the Christmas tree and the Community Christmas lunch. Now, she’s working with media and festival sponsors to coordinate the marketing of the Easter Festival. It’s an event close to her heart. Click here for information on the many events during the Bendigo Easter Festival, or check out the festival Facebook page.